Love this MONNALISA Girls Blue Padded Floral Bomber Jacket for Fall Winter 2018-19. She’ll love this warm, padded bomber jacket for girls by Monnalisa, made in blue polyester silk. It has a beautiful floral bouquet and pearl print, in shades of pink, blue and ivory. Frills border the zip fastener and there is a pretty pale pink quilted lining. Complete the look with a pretty and stylish, short blue faded stretch denim skirt for girls by Monnalisa. Delightful embroidered pink and ivory roses decorate the front, and it has a frayed hem and ruffle across the back. 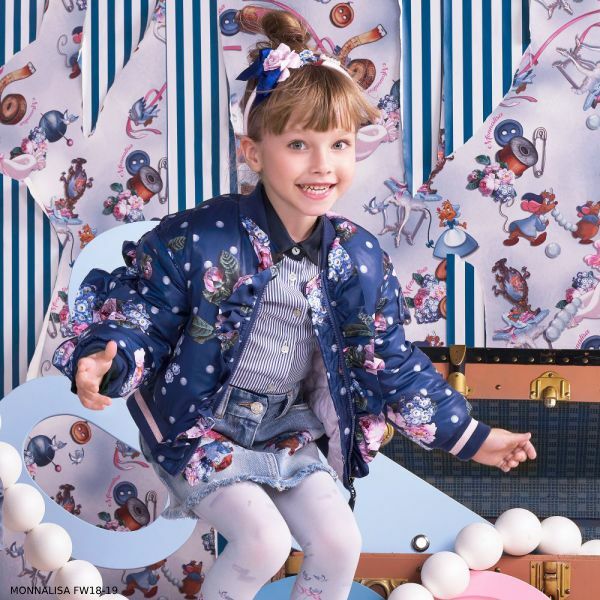 Unfortunately, this MONNALISA Girls Blue Padded Floral Bomber Jacket is not currently available. 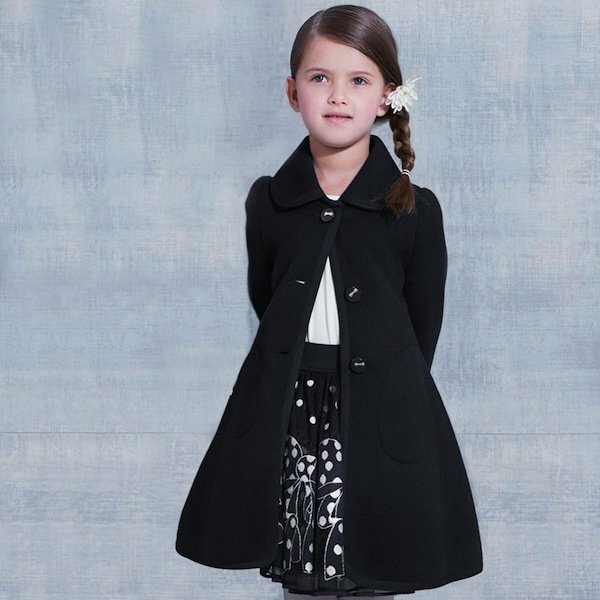 You can shop similar MONNALISA Girls clothes from the current collection online.